According to THIS link, Aaron’s TV Guide interview is in the July 5th-18th issue. If anyone can get their hands on a copy could you please scan the interview? 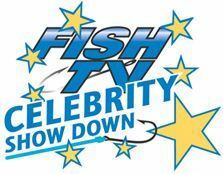 Aaron will be competing in the 2010 Fish TV Celebrity Showdown on Thursday July 1st (Canada Day) at Palmer Park, Port Perry, Ontario. Canada. The ‘Fish TV Celebrities’ will be fishing with pro anglers for charity (The Princess Margaret Hospital Foundation). Aaron has an interview with USA TV Guide on Monday for the CBS launch of THE BRIDGE. For those that don’t know, I live in Australia, so I’m going to need you guys in the USA to please look out for this for me. THE BRIDGE premieres in the USA on Saturday July 10th, so expect the issue to show up in the next 3 weeks. There is an official Photo DVD for FedCon 19 (April 30th – May 2nd, 2010) now available for purchase for 16 Euros. Die FedCon 19 Foto DVD von Thomas Brückl. Eine wunderbare Erinnerung an die FedCon, oder für diejenigen, die nicht dabei waren, wunderschöne Foto-Eindrücke der FedCon 19 – über 2000 Fotos in 8,2 Mio. Pixel Auflösung. “Red Door/Paint It Black” – When dedicated street cop Frank Leo (Aaron Douglas) learns that there will be no police funeral for his fallen training officer and that his fellow officers are being railroaded for using excessive force, he stages a walkout. Motivated by the pressure of “the brass” who want to bring him down, Frank becomes the head of the police union and fights to bring more protection to the cops on the street; however, unbeknownst to Frank, another fellow officer is involved in a series of drug-deal rip-offs, on the two-hour series premiere of THE BRIDGE, Saturday, July 10 (8:00-10:00 PM, ET/PT) on the CBS Television Network. “Red Door” — When dedicated street cop Frank Leo (Aaron Douglas) learns that there will be no police funeral for his fallen training officer and that his fellow officers are being railroaded for using excessive force, he stages a walkout. Meanwhile, unbeknownst to Frank, another fellow officer is involved in a series of drug-deal rip-offs, on the series premiere of THE BRIDGE, Saturday, July 10 (8:00-9:00 PM, ET/PT) on the CBS Television Network. Aaron is scheduled to appear at the following convention. It is in June 2011. The cruise departs/arrives at Port Canaveral – a cruise, cargo and naval port in Brevard County, Florida. USA. The below is a copy and paste from their website …..
ABOUT US: CruiseCons is thrilled to announce their plans for their 1st Celebrity Cruise Convention, set for June 11, 2011. Actress Clare Kramer, travel entrepreneur Joe Motes and convention photographer Donald “Froggy” Bonneau have come together to provide fans the opportunity to enjoy the ultimate cruise convention at sea. Carnival’s new “Dream” to experience this amazing ship as it navigates the Western Caribbean waters. Please join us on this adventure to embark on an amazing cruise to some of the most beautiful ports of call that The Caribbean has to offer: Port Canaveral, Cozumel, Roatan, Belize and Costa Maya. You and your friends will have the opportunity to celebrate alongside some of your favorite celebrities while we enjoy a plethora of convention activities, shared shore excursions, as well as dining each evening with our celebrity guests. Your passes will allow you to partake in “Cruisecons only” activities. Sign-up now to arrange your payment plan and begin planning for your trip of a lifetime. With Joe Motes’ previous cruise convention experience along with Actress Clare Kramer’s ties to Hollywood, CruiseCons Caribbean Convention 2011 should make for a remarkable journey. So, feel free to cruise the site and get started. George Takei (Star Trek/Heroes/Larry Crowne), Jewel Staite (Firefly/Serenity/Stargate: Atlantis) and Julie Benz (Dexter/Angel/Rambo) have been tapped to headline CruiseCons’ all-star line-up, helming the company’s premiere event in June 2011; a ‘convention at sea’ through the exotic Western Caribbean. June 11, 2010 CruiseCons’ flagship event will depart Orlando for a 7 day trip-of-a-lifetime. Attendees will board the luxury liner “Dream” and enjoy traditional event activities whilst cruising through the exotic Western Caribbean surrounded by stars. Takei, Staite and Benz will headline, with guests Connor Trinneer (Star Trek: Enterprise/Stargate: Atlantis), Aaron Douglas (Battlestar Galactica/Smallville/Stargate) , Bianca Kajlich (Rules of Engagement/Halloween), Keith Szarabajka (Angel/The Dark Knight/24), Jerry Doyle (Babylon 5/The Jerry Doyle Show) and Clare Kramer (Buffy the Vampire Slayer/Bring It On/House) rounding out the roster. Guests will hobnob with Hollywood at nightly dinners and rub elbows with celebs on shore excursions, with the full convention docket including guest talks and Q & A’s, autograph signings, a talent show and parties with the stars. With ports-of-call in Cozumel (Mexico), Roatan (Honduras), Belize City (Belize), and Costa Maya (Mexico), the event is packed with substance and interest for the sci-fi lover and seasoned adventurer alike. Visit www.CruiseCons.com for detailed cruise, convention, booking and contact information. Additionally, travel agent Debbie Nordeen can be reached to customize packages: Debbie@TravelDestinationsInc.com. Ask about our easy payment plans or find them on our site. CruiseCons, founded by travel entrepreneur Joe Motes, actress Clare Kramer and photographer Donald “Froggy” Bonneau strives to create the ultimate in convention satisfaction, merging exotic locals with classic and current guests. Filling the void of ‘conventions at sea’ this premiere company looks to establish a long, successful and mutually satisfactory relationship with convention attendees and lovers from around the globe. Aaron will be appearing at San Diego Comic-Con signing autographs. He said he will be signing at the Lucas booth on the floor. The only exhibitors I can find on the SDCC website is Lucasfilm. Lucas as in Star Wars???? Once I get confirmation about which booth it is, I’ll let everyone know. UPDATE (June 17th): An update on Aaron’s appearance at San Diego Comic-Con …. Official Pix is proud to announce that the following guests will be signing autographs in our booth at this year’s San Diego Comic Con International. We are located in the Lucasfilm pavilion in booth 2913P. 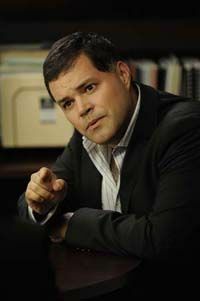 Aaron Douglas: Chief Tyrol from Battlestar Galactica, Frank Leo in the new TV series The Bridge. Other credits include Smallville, X2, Chronicles of Riddick, and more! Autograph $30.00. Signing Thur, Fri, Sat. 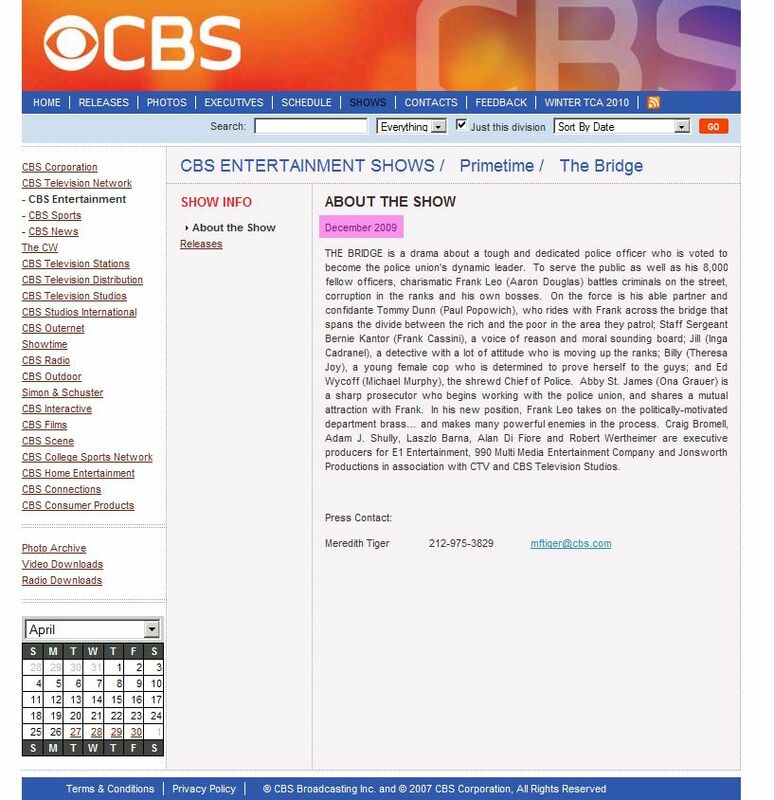 In a google email alert for The Bridge, there was a link to the SET (Sony Entertainment Television) website in South Africa that says The Bridge premieres there on Thursday July 1st at 8:30pm. There was a photo of Aaron and co-star Ona Grauer (Abby St. James) on there that I haven’t seen before. SPOILER WARNING: If you haven’t seen THE BRIDGE, don’t click on the link above because the episode synopsis has spoilers in it. Madeline (a member of THE CHIEF’S DECK LiveJournal group) has some photos autographed by Aaron that she is auctioning off on ebay to raise money for Broadway Cares/Equity Fights Aids. When Aaron was in town for Big Apple Comicon he was nice enough to sign some photos to be auctioned off the raise money for Broadway Cares/Equity Fights Aids. All the money from this auction will got to support organizations like The Actor’s Fund which provides housing assistance and health care for people in the entertainment industry. You will also be supporting The Phyllis Newman Women’s Health Initiative which helps women get mammograms and treatment for Breast, Cervical & Ovarian Cancer. And your purchase is tax deductible!! If you all would like to help spread the word (and maybe bid) that would be great!! P.S. 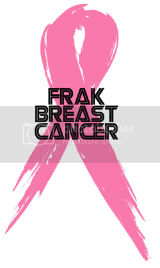 For every $150 raised for this fundraiser that is a mammogram for someone who would otherwise be unable to get one!! CTV had their Fall Upfronts earlier today and they announced that they have ordered a second season of THE BRIDGE!!!!!! Below is copy & paste of just the parts about THE BRIDGE from the CTV Press Releases. CTV also confirmed today that the highly-anticipated original daytime series THE MARILYN DENIS SHOW premieres this Fall. The daily program joins an unprecedented seven other original Canadian prime-time series that have been ordered or renewed for the upcoming season, including the complex, unvarnished portrayal of one of history’s most infamous families in THE BORGIAS, FLASHPOINT (Season 4), THE BRIDGE (Season 2), THE LISTENER (Season 2), HICCUPS (Season 2), DAN FOR MAYOR (Season 2) and COMEDY NOW! (Season 13). The network also announced that award-winning Top 20 hit SO YOU THINK YOU CAN DANCE CANADA returns with its third season on August 15. • THE BRIDGE (Season 2) – Canada’s #1 new Canadian drama series, which finished its first season with an average audience of one million viewers. The #1 new Canadian drama of the season, THE BRIDGE returns for a second season of fast-paced, gripping police drama. 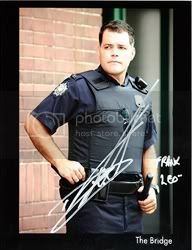 Starring Aaron Douglas (BATTLESTAR GALACTICA) as police union president Frank Leo, the series follows Frank as he struggles to uncover police force corruption and help protect his fellow officers and, ultimately society. Aaron has landed the role of Prosecutor Frank Riley in a MOW for Lifetime called ONE ANGRY JUROR. The movie is based on a true story. The movie will be directed by Paul A. Kaufman. Paul directed an episode of The Bridge (1×06: Damned If You Do). Filming is in Vancouver from June 2nd – 21st, 2010. Aaron is filming June 12th, 17th – 20th, 2010. You can comment on this news over on THE CHIEF’S DECK. UPDATE: The internet is a wonderful thing :) I found the ‘casting sides’ for Frank Riley. Consider these spoilers for the movie because I assume they are pages from the actual script. UPDATE (June 13th): Article from the The Vancouver Observer that gives a bit of a synopis for ‘One Angry Juror’ …. Actor Peter Benson has just been cast in the upcoming television movie ‘One Angry Juror’, starring Jessica Capshaw (Grey’s Anatomy). Based on a true story, the film follows an aggressive corporate attorney, Sarah (Capshaw), who gets an unexpected call to jury duty for the trial of Walter Byrd, who is accused of murder. Peter plays Eric in the film, an attorney like Sarah, and a member of the jury deciding the fate of Walter Byrd. Directed by Paul A. Kaufman, produced by Harvey Kahn, with Executive Producers Craig Baumgarten and Adam Merims, the film is currently in production in Vancouver. ONE ANGRY JUROR (90 minute feature-length television movie) Successful corporate defense lawyer Joan Canny has been called to sit on the jury for a murder case. Becoming convinced of the young African American boy’s innocence Joan is able to plant the seed of doubt with the rest of her Jurors and force a mistrial and takes on his defense in the second trial. Through her defense and acquittal of Walter, Joan comes to realize that the integrity of the criminal system has prevailed but that to keep her own integrity intact she must quit her corporate job. Featuring Jessica Capshaw, Jeremy Ratchford, and Aaron Douglas. 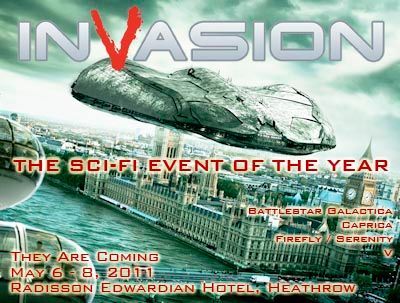 Aaron is scheduled to appear at the following convention in the UK in 2011. Season One of THE BRIDGE has already aired in Canada but CTV have announced that they will repeat the episodes this summer. The encore episodes will air the same date/time as they are premiering in the USA on CBS. Below is the CTV Press Release. I’ve only included the information about THE BRIDGE. Encore episodes of THE BRIDGE (July 10) to air in simulcast with CBS. THE BRIDGE, returns to CTV for a summer run after a highly successful first season as Canada’s #1 new drama, averaging more than one million viewers each week. The series follows beat cop Frank Leo (Aaron Douglas, BATTLESTAR GALACTICA) as he is voted into office as the police union’s dynamic leader. He begins his quest to put street cops first and clean up the force from the ground up as he battles criminals on the street, police department brass and corruption in the ranks. UPDATE: An article from The Hollywood Reporter about THE BRIDGE premiering on CBS and reairing on CTV. Canadian cop drama to premiere July 10 at 8 p.m.
TORONTO — The Canadian cop drama “The Bridge” has landed a summer slot on CBS. Canadian broadcaster CTV on Monday confirmed the E1 Television series will air on CBS on Saturday nights at 8 p.m. from July 10. CTV launched “The Bridge” on March 5 on its main network here ahead of CBS after the U.S. network and co-producer delayed airing the Canadian drama about big-city union politics until a primetime slot opened up. The Canadian broadcaster will repeat the first season of the homegrown cop drama day-and-date with CBS from July 10. We’ve already known about this for days but it’s now OFFICIAL. THE BRIDGE will premiere in the USA (on CBS) on July 10th @ 8pm. THE BRIDGE, a new drama about a tough and dedicated police officer who is voted to become the police union’s dynamic leader, premieres Saturday, July 10 (8:00-9:00 PM, ET/PT) on the CBS Television Network. The series, based on the insights of veteran insider and outspoken former Toronto police union head Craig Bromell, chronicles a charismatic union leader who is working parallel campaigns in a big city police force-battling criminals on the street and fighting his own bosses, and sometimes corruption in the ranks, to protect his fellow officers. THE BRIDGE stars Aaron Douglas (“Battlestar Galactica,” “Smallville”), Paul Popowich (“Angela’s Eyes”), Frank Cassini (“Vice”), Theresa Joy (“All the Good Ones are Married”), Ona Grauer (“Stargate SG-1) and Michael Murphy (X-Men: The Last Stand”). THE BRIDGE is produced by E1 Entertainment, 990 Multi Media Entertainment Company and Jonsworth Productions in association with CTV and CBS Television Studios. Craig Bromell, Adam J. Shully, Laszlo Barna, Alan Di Fiore and Robert Wertheimer are executive producers. UPDATE: I sent the press release to Aaron and he tweeted about it. Rumour has it that THE BRIDGE will premiere in the USA this summer on Saturday July 10th. 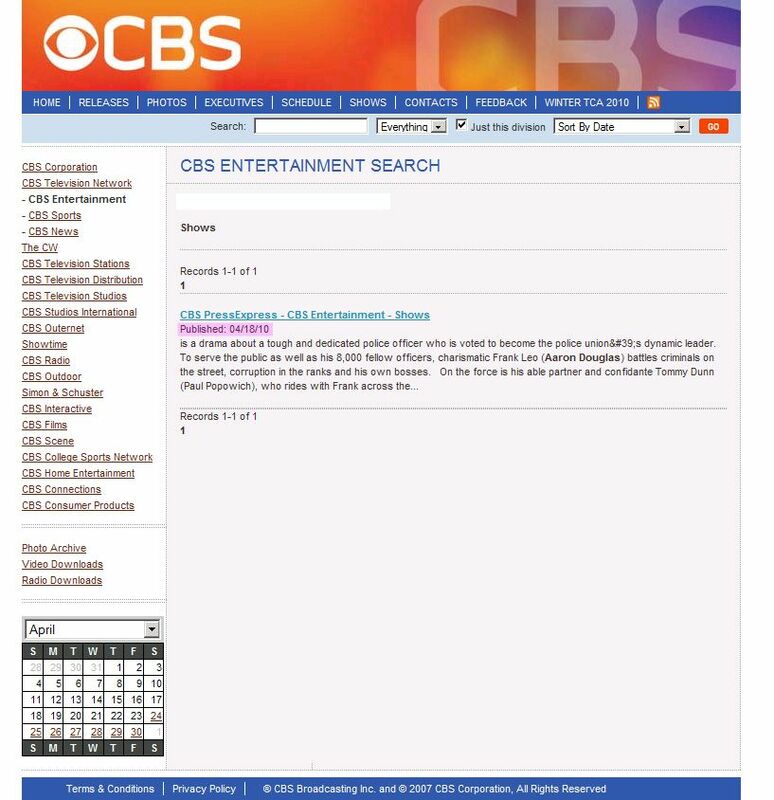 There will be an official announcement about this from CBS next week when they reveal their summer schedule. Toronto, ON (May 20, 2010) – The #1 new Canadian drama of the year locks things up in the season finale of THE BRIDGE this Friday, May 21 at 10 p.m. ET on CTV. The tweets by some of the stars of the show seems to confirm that it was not picked up. Josh Henderson: Sooooo surprised/confused/dissapointed… Hmmm I need something positive n my life today. Quick. I haven’t heard from Aaron because he’s filming KILLER MOUNTAIN and his cell phone reception comes and go. But I did talk to him last night about it and he said he’d heard rumours it hadn’t been picked up. Below is Aaron’s schedule for the con ………………..
– Kids Need To Read Geek Prom and Celebrity Rock Band @ 10:00pm – 2:00am (Hyatt Ballroom A&B). More info HERE. PHOTO PRICES: A photo with just Aaron is $30. A photo with both Aaron and Wil is $45. NOTE: On Thursday (May 27th) at 6:00pm – 8:00pm (Hyatt Ballroom D) there will be a screening of the pilot episode of THE BRIDGE. Aaron will not be attending the screening. Aaron has been cast as Ward Donovan in a MOW titled KILLER MOUNTAIN. Filming is from May 17th – June 4th, 2010. Aaron was scheduled to appear at Phoenix Comicon (May 27th – 30th, 2010). He doesn’t want to cancel on his fans so he will still be attending the con but he won’t be able to get there until Saturday afternoon. Aaron will shoot all night Friday, go straight to the airport from the set and fly out to Phoenix at 7:30am on Saturday morning. So go gentle on him on Saturday because our guy is going to be tired. Aaron’s guest panel was scheduled for Friday afternoon. I’m just waiting to hear back on whether or not they are able to reschedule this for another day. Photo Ops for Saturday and Sunday will go ahead as scheduled. UPDATE: The convention organisers were able to reschedule Aaron’s guest panel and (OMG I am soooo jealous that I won’t be there) ….. Aaron will be doing his guest panel with WIL WHEATON on Sunday (May 30th) at 3pm. I’ve updated Aaron’s schedule for the con with the new details. You can view that HERE. UPDATE: Aaron has tweeted about it …. Aaron has been cast as the lead character Ward Donovan in a MOW called Killer Mountain. Filming is from May 17th – June 4th, 2010. Aaron starts filming next Tuesday. Paul Campbell is playing Tyler. Torrance Coombs is playing Chance. Andrew Airlie is playing Walter Burton. Emmanuelle Vaugier is playing Kate Pratt. Kate is the ex-girlfriend of Aaron’s character. The in-demand actor is also currently working on an MOW entitled ‘Killer Mountain’, also starring Emmanuelle Vaugier and Aaron Douglas. Andrew plays Walter Burton, a wealthy industrialist who sponsors a climbing expedition in Bhutan. The mission goes awry and he has to hire another expert climber to rescue the members of the first climb team. With ulterior motives at play, danger and mayhem ensue. ‘Killer Mountain’ is produced by Chris Bartleman and Jeff Schenck, and directed by Sheldon Wilson. Filming is taking place in Hope and Squamish, British Columbia, this spring. For those of you that are attending Phoenix Comicon, below is Aaron’s schedule for the con. NOTE: On Thursday (May 27th) at 6:00pm – 8:00pm (Hyatt Ballroom D) there will be a screening of the pilot episode of THE BRIDGE. Aaron is not scheduled to attend the screening. UPDATE: I spoke to the wonderful Linda at Phoenix Comicon. She said a photo with just Aaron is $30. A photo with both Aaron and Wil is $45. UPDATE (May 13th): Aaron has been cast as Ward Donovan in a MOW called KILLER MOUNTAIN. Filming is from May 17th – June 4th. Filming of this MOW will affect his appearance at Phoenix Comicon. Please click on the link below for more information. THE CW have changed the title of the tv show BETWIXT to CHANGELINGS. As you may remember, Aaron played Detective Jim Frakes in the pilot episode and we are just waiting to hear if THE CW is going to pick it up to become a series. Apparently the announcement will be made on the morning of May 20th, 2010. Travis Yanan has read the pilot script for Betwixt and posted his review. If you know anything about me, you know that my interest is always piqued when there’s something supernatural afoot in a TV show. Just so we’re clear. There are some interesting character turns and cliffhangers presented at the end of the draft of the pilot I read, as well as love triangle set up. So I see the series… and I’m incredibly interested in seeing what happens next on Betwixt, though I’m not sure how long that interest will remain. The pilot is one of those things that seems to do too much and give too much away and progress the plot too quickly. That kind of thing can be AWESOME for a pilot and can lead to a really lame series that spins its wheels too much, can lead to an AWESOME first season and then the story feels played and burnt out… or the writers can rise above and keep the series going strong. Or the pilot can come in incredibly confusing / long / in need of cuts and fixes. For anyone that is going to Phoenix Comicon (May 27th – 30th, 2010) …. 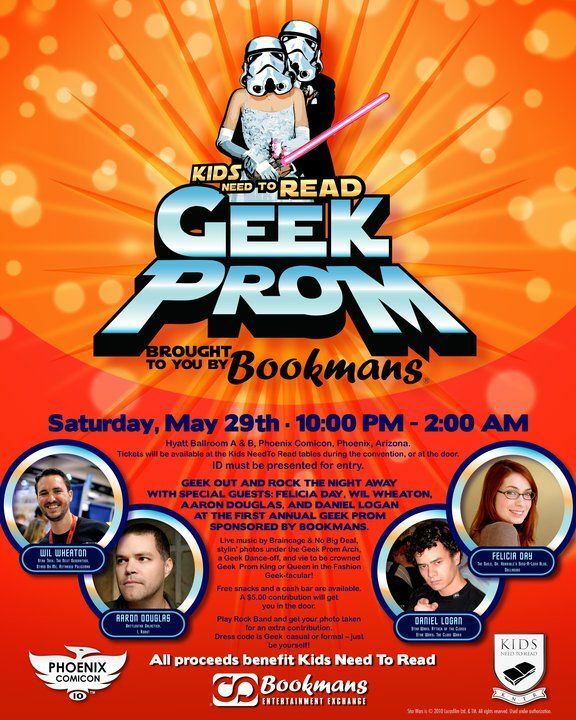 Geek out and rock Saturday night away with Felicia Day, Wil Wheaton, Aaron Douglas, and Daniel Logan at the first annual Kids Need to Read Geek Prom at Phoenix Comicon, presented by Bookmans! Expect fun, activities and prizes! Celebrate your inner Geek by taking the stage playing Rock Band, attempt to claim victory in the Geek dance-off, have your stylin’ photo taken underneath the Geek Prom Arch, and vie to be crowned Geek Prom King and Queen in the Fashion Geek-tacular! Rock N Roll High School bands Braincage and No Big Deal promise to play some special Geek-ified music for your auditory pleasure. Free snacks will be provided by Bookmans and a drink cash bar will be available. A $5.00 contribution to Kids Need to Read will give you access to the frivolity. Photographs at the Geek Arch and entry to play Rock Band will be available for extra donations of $5.00 each. All proceeds will benefit Kids Need to Read. Dress code is Geek casual or formal – real Geeks won’t even need a costume! Details: Saturday, May 29th, 10:00 PM – 2:00 AM, Hyatt Ballroom A & B. Tickets will be available at the KNTR tables or at the door. ID must be presented for entry. Children are welcome. 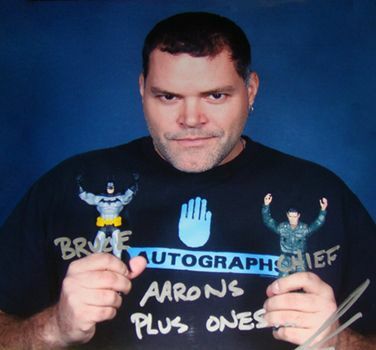 Aaron wrote the below on his autograph table at the Calgary Comic & Entertainment Expo. 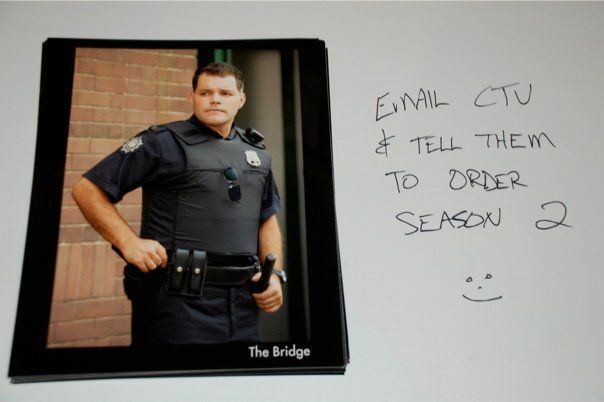 I know it doesn’t even have an air date for the USA yet but could everyone please help out and email CTV (programming@ctv.ca ) and ask them to pickup The Bridge for a second season? When emailing CTV we want them to think we’re Canadian viewers so don’t mention you’re in the USA (if you are) and ask when it will air on CBS because CTV have no control over that. I know I am behind on the pics for DVD’s as I have a small stack of envelopes in my office that need a picture and then to be sent. I will get on this when I get back from Germany. The problem was that I ran out of pics, ordered more, got them the day before Calgary, ran out of them in Calgary and I have now ordered more which will be here waiting for me when I get home from Germany. So, thank you all so much for your support, your DVD’s and, most importantly, your patience. I will get them to you, I promise. PS. For those of you who will be in Germany at Fedcon…. I cannot wait. I leave for the plane in 5 hours from the time I am writing this. PPS. Sorry I have taken so long to write this note as well. I re-did my computer, it logged me out of LJ, I couldn’t remember the password, I had to, once again, get Michelle to come to my rescue… blah blah blah…. UPDATE (April 26th): Hmmmmm, now the date reads December 2009. This is kinda OT but I wanted to share some news about one of the writers from THE BRIDGE. LET IT RIDE, the third book by ‘The Bridge’ writer John McFetridge is featured this week on the Barnes and Noble Book Club blog. John wrote 1×04: The Unguarded Moment and tonight’s episode 1×09: Painted Ladies. NOTE: John’s book is titled LET IT RIDE in the USA. In CANADA it is titled SWAP. Just a reminder that Aaron will be appearing at the following convention in Canada this weekend. ONLY 40 SHIPS WILL BE MADE, SO DON’T MISS OUT! Below is the schedule of Aaron’s games for the Charity Hockey Game this weekend. Aaron will be playing goalie for Solutions Stallions. The very talented Sasha Powell (aka MsBigPileofDust) makes one-of-a-kind action figures and busts for characters from movies, TV shows, and graphic novels. Below are the two Chief Tyrol figures that she made that were commissions for André. 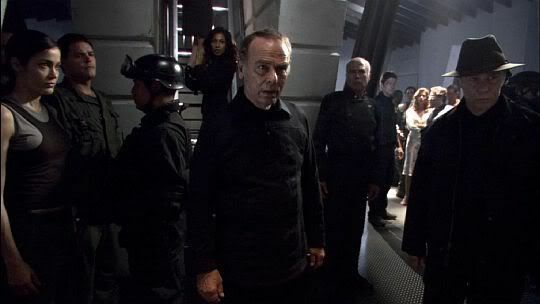 Battlestar Galactica: 2.20 “Lay Down Your Burdens” / Fast-forward a year – Tyrol is married to Cally, and settled on New Caprica. He is now a union activist. 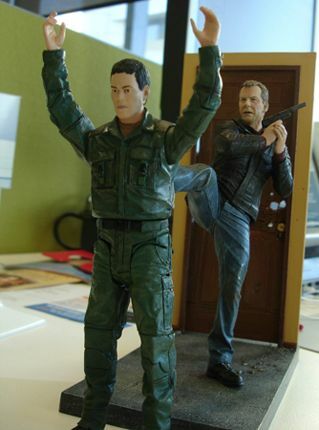 You can view all of Sasha’s custom made BSG figures at the links below. Just a reminder that Aaron will be playing goalie for Solutions Stallions in a hockey charity event for the Gordie and Colleen Howe Fund for Alzheimer’s in Edmonton (Canada) this weekend. If you can, please help sponsor Aaron at the link below. You need to install the CTV ‘Primetime Widget’ to vote. Today was Aaron’s first day on set for the pilot episode of BETWIXT for The CW. Aaron plays Detective Jim Frakes. Here are some links about the show…..
Betwixt News and Casting Updates. If you have the time, this thread is an interesting read. CTV have updated the layout of their website page for THE BRIDGE. Below is just the image of Aaron. Click on thumbnail to enlarge the image. Just a reminder that Aaron will be appearing at the following convention in the USA this weekend. Just received some big news from Aaron. He has a new tv show!!!! He has booked a pilot and starts work next week. Details to follow. UPDATE: Sorry everyone. I don’t know if he is doing this new show instead of THE BRIDGE or if he will be doing both shows. He didn’t elaborate on the details. He said he’ll give me more info when he can. As soon as I find out, I’ll let you know. Don’t worry, The Bridge has not been cancelled. Season One is doing extremely well in Canada. Aaron has no idea if/when there will be a season 2 so he is getting other work. You can comment on this over on THE CHIEF’S DECK. You are able to sponsor a team or a player. Below is the link to sponsor Aaron. Here’s hoping we can all get together and help sponsor our guy. Please help spread the word by reposting the link to this entry. Aaron is scheduled to appear at the following convention in the CANADA. NOTE: Aaron isn’t yet listed on their website as a guest. P.S. Tahmoh is also appearing at this con. 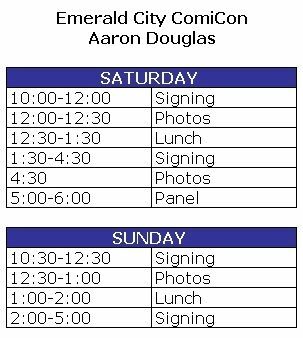 For those of you lucky enough to be attending ECCC this weekend, below is Aaron’s schedule. The pilot episode of THE BRIDGE is now available on the CTV Player. Thing is, it won’t play for anyone outside of CANADA. I believe the networks also counts the figures of how many people watch the online episodes. So if you’re in Canada, play it (then walk off if you want). CTV have updated their ‘Primetime Widget’ to include THE BRIDGE. The widget has the latest news, episode descriptions and video. The 2 hour premiere of THE BRIDGE is airing tonight (Friday, March 5, 2010) on CTV (Canada) from 9pm – 11pm. For those of you in Canada, here is a list of Aaron’s tv appearances for Friday March 5th, 2010. * Apparently ‘Your World This Week’ only airs in Toronto on Digital Channel 1. I’m expecting that there will be a LOT of interviews and articles released on Friday. Instead of bombarding you with posts about them, I’ll collate them and make one post. If you’d rather not wait to see them they will be posted on the INTERVIEWS or ARTICLES page of TheBridgeTV website. Everything added to the website is listed on the NEWS page. Aaron is currently in Toronto and below is his schedule for television and radio interviews for The Bridge. There may be more appearances added to his schedule. If there is I’ll update this list. 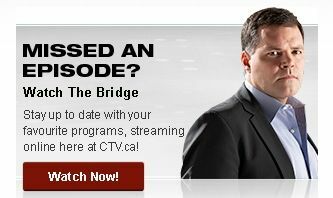 The photo of Aaron on the home page of the official CTV website for THE BRIDGE has been changed. The images on the left is the old layout. The images on the right is the new layout. Aaron has started doing interviews to promote THE BRIDGE. Below is a list of the 4 interviews he did today (February 25th, 2010) that we need to keep an eye out for. Note: This is the first time that the final five Cylons have ever appeared together at a convention. Over the last few weeks I’ve been working on a fansite for THE BRIDGE. In the Photo Gallery section you can find Cast Photos and also the Episodic Photos from the 2 hour pilot episode. I do have the hi-res version of these images but I’ll wait until the CTV website post the images first (which will be low-res from looking at the websites for their other shows) and then I’ll post the hi-res images. The Episode List is almost complete, it’s just missing the names of two episodes. I have no idea what the Cast list order is. You know how on BSG Eddie was number 1, Mary 2, Katee 3, Jamie 4, etc? I know that Aaron is number 1 on The Bridge but I don’t know what the rest of the order is. I’ll have to wait until the first episode airs and get the order from the opening credits and then I’ll amend the website to make it match. I made the website using wordpress and I can’t say I’m entirely happy with how it looks so let’s call it a work in progress. If anyone has any ideas or suggestions for improvements please let me know. And of course if anyone comes across any content (images, interviews, etc) that can be added to the website please forward it on to me. CTV’s official website for THE BRIDGE has been updated with Character and Cast Bios. Below is a copy and paste of just Aaron’s character and actor bio. Visit the CTV website for the bios of his co-stars. Aaron Douglas was born in the Vancouver suburb of New Westminster, BC. He spent his early adult years working various jobs only to realize what he did not want to do with his life, until he discovered the William B. Davis Center for Actors. In 1998, Douglas enrolled in the full-time program and by the end of the school year, had found an agent. It wasn’t long before he began steady work guest starring and playing supporting roles in television and major motion pictures. 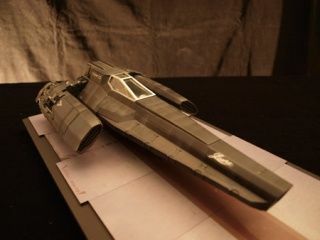 Douglas starred on Syfy’s hit series, BATTLESTAR GALACTICA, as Chief Galen Tyrol for four seasons. He’s appeared in major motion films including, The Exorcism of Emily Rose; Man About Town; X-Men 2; The Chronicles of Riddick; Walking Tall; Paycheck; Catwoman and I, Robot, alongside Will Smith. Billy contacted me earlier in the week asking if Aaron would choose a Metal ballad type of song (love, anguish, heartbreak) to play during the show. I passed on the message to Aaron and he replied. So tune in to the show tonight to find out which song Aaron chose. Billy assures me that it will be played within the first hour. Aaron also included a message with the song he chose so I’m assuming that Billy will read that out on air before the song is played. NOTE: For anyone that won’t get a chance to catch the show, I’ll update this post later with Aaron’s song choice. Every Rose Has Its Thorn or Don’t Know What You Got Till It’s Gone. But if I had my true choice and picked a real song, one that Chief would be proud of…. I think that everyone knows that Every Rose Has Its Thorn is by Poison. The other two songs I wasn’t familiar with so I had to google them. Don’t Know What You Got (Till It’s Gone) is by Cinderella. Welcome Home (Sanitarium) is by Metallica. On Wikipedia for ‘Welcome Home (Sanitarium)’ it reads… “the lyrics portray one being trapped in insanity, or perhaps trapped in a mental asylum”. Knowing that makes me LOL at Aaron’s last sentence. Below is the episode name and synopsis of the 2 hour premiere episode of THE BRIDGE. When beat cop Frank Leo becomes fed up with the corrupt police brass, he leads a walkout strike and makes himself a target as a renegade union rep.
Below is the more detail episode synopsis from the CTV Media Release on Feb 11th, 2010. In the special two-hour series premiere (Friday, March 5 at 9 p.m. ET), beat cop Frank Leo is fed up. Bridge Division is understaffed, and good cops are being blamed for a spate of mysterious drug rip-offs. Then Frank’s mentor, framed by the corrupt police brass, commits suicide. When Frank realizes the brass won’t give his mentor a police funeral, it’s the last straw. He leads a walkout strike, putting his career and the careers of his entire division on the line. Then, when Frank and his fellow officers are blamed for an act of “Contagious Fire”, the brass sees the perfect opportunity to get rid of Frank once and for all. Frank realizes that in order to save himself and change things, he must take over the reigns of the Police Union. He soon finds himself thrust into a treacherous world of politics, intrigue and violence. And just as he’s become head of the Police Union, Frank is forced to make a critical decision that could ultimately bring him down. Aaron will be doing a live radio interview with NDB Radio tonight (Monday, February 8th) @ 7pm Pacific Time. I received the following info from Roger (who will be interviewing Aaron) …..
We do not know if Aaron will take live calls, but if he wants too, we will announce this and we WILL take calls from the public. Any questions may be e-mailed to us before the program at: radio@noriega.biz and of course, in the chat room, they can type in their questions and we’ll read ’em live. This Sunday during the Super Bowl there will be a one minute promo for The Bridge (only on CTV). Is there anyone in Canada that can tape the Super Bowl and upload The Bridge promo? Sunday February 7th @ 6pm ET, 5pm CT, 4pm MT, 3pm PT, 7pm AT. 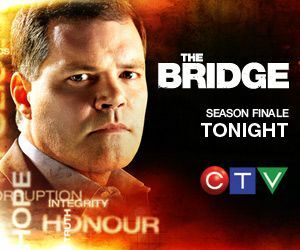 THE BRIDGE: Premieres on CTV – Friday March 5, 2010 @ 9pm. THE BRIDGE will premiere in Canada on CTV on Friday March 5th, 2010 @ 9pm. NOTE: THE BRIDGE is a CBS (USA) and CTV (Canada) co-production. The Bridge will premiere in Canada on March 5th. There is no news yet on when it will air in the USA. Below is the CTV press release (copy and paste of just the parts about THE BRIDGE) …..
Toronto, ON (February 2, 2010) – CTV announced today it has strategically scheduled three new Original Canadian series to debut next month, immediately following the conclusion of the VANCOUVER 2010 OLYMPIC WINTER GAMES. The three series will benefit from weeks of promotion during what is to be one of the most-watched television events of the year. The much-anticipated premiere of CTV’s newest one-hour original drama series, THE BRIDGE. 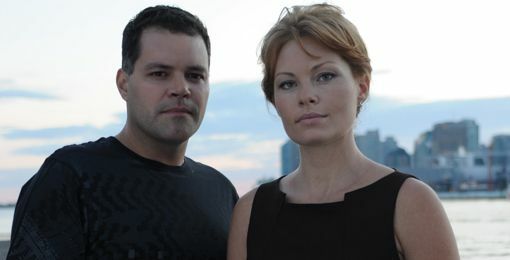 Starring BATTLESTAR GALACTICA’s Aaron Douglas, THE BRIDGE is an authentic and unique twist on the police procedural told through the lens of a charismatic police union leader. The series debuts Friday, March 5 at 9 p.m. ET with a special two-hour series premiere before moving to its regular Fridays at 10 p.m. ET timeslot beginning March 12 on CTV. Episodes of HICCUPS, DAN FOR MAYOR and THE BRIDGE will also be available on demand in HD on the CTV Video Player at CTV.ca following their television broadcast. HICCUPS and DAN FOR MAYOR also air Saturdays at 8 p.m. ET/PT and 8:30 p.m. ET/PT beginning March 6 on The Comedy Network and will also be available for purchase from popular download sites. THE BRIDGE After the rank and file unanimously vote tough and dedicated street cop Frank Leo (BATTLESTAR GALACTICA’s Aaron Douglas) into office as the police union’s dynamic leader, he begins his quest to put street cops first and clean up the force from the ground up as he battles criminals on the street, police department brass and corruption in the ranks. But the old boys’ network running the police force and the city’s self-serving politicians are not about to sit idly by while a former street cop makes up his own rules. Frank walks the thin blue line as he battles criminals on the streets, corruption in the ranks and the politically motivated department brass, letting nothing stop him from fulfilling his unwavering vow that when cops are in trouble, he will be there to protect the protectors. THE BRIDGE also stars Paul Popowich (ANGELA’S EYES, I ME WED); Inga Cadranel (RENT-A-GOALIE, MVP); Frank Cassini (Vice, INTELLIGENCE); Theresa Joy (ALL THE GOOD ONES ARE MARRIED, Sixty Days); Ona Grauer (STARGATE SG-1 and STARGATE ATLANTIS); Michael Murphy (Away from Her, X-Men: The Last Stand); and Stuart Margolin (THE ROCKFORD FILES, TOM STONE). Aaron will be doing a live radio interview with NDB Radio on Monday, February 8th @ 7pm Pacific Time. They have the ability to take calls during the program so if Aaron agrees to taking live questions, you can email in your questions or if you are in the chat room during the interview you can type in your questions there. Looks like we’re going to have to wait even longer to see The Bridge. 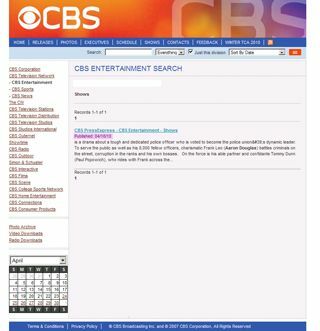 The CBS 2010 Mid-Season schedule has been updated until April and there’s still no news on when The Bridge will premiere. 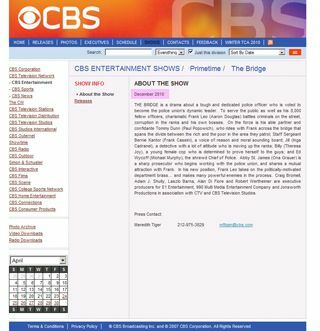 Today CBS released their 2010 Mid-Season TV Schedule and there’s no mention of THE BRIDGE. Looks like we’re going to have to wait until March 2010. I guess we kind of expected that because of the Olympics happening Feb 12th – 28th. I wonder if it would help if we started to ‘politely’ enquire on the CBS Facebook fan page for The Bridge, on when the show will air. While we’re on the subject of The Bridge … Inga Cadranel (Aaron’s co-star on The Bridge) was interviewed yesterday. Here’s part of the interview where she mentions Aaron. Not really any big spoilers if you’ve already seen the trailer for The Bridge. You play Jill, a major crimes detective. How does she fit in the world of the show? Jill is definitely the female with the attitude. She’s a bisexual cop and she’s also having an affair with Frank (Aaron Douglas), the show lead. He constantly comes to my partner and I for information even though we’re not supposed to give it to him. But he’s trying to solve the internal side of things. That’s kind of where I fit into the show. He literally pumps me for information! Below is the music video for Brad Paisley’s new single AMERICAN SATURDAY NIGHT. The person that can tell me why I posted this video clip (and provide the time stamp), wins!!!! Well, you actually don’t win anything other than the satisfaction of being the first to work it out :) And bonus points for working out the reference (the lyrics to the visual image). Head on over to THE CHIEF’S DECK to leave a comment. CBS have created an official facebook fan page for The Bridge. If missed the previous entries regarding this, here are the links to the facebook fan pages for The Bridge (run by CTV) and the fan page for Aaron. A very good friend of mine, one of the producers of Battlestar Galactica, lost her father last week to Cancer. You all know my penchant for helping cancer agencies raise awareness and money but this time I would like to go in a different direction. She sat with her father for a few weeks in the palliative care unit of Lions Gate Hospital in North Vancouver, she said the care was exceptional, the nurses tremendous, loving, caring and sweet. Anyone who has sat in a hospital day after day with a loved one who is seriously ill knows how tedious and boring it can become. Lions Gate Hospital has in-room televisions but cable is $15 per day. That does not sound like much but if you are there for a few weeks it adds up quickly. So I had an idea, portable DVD players and a library of DVD’s for patients and their loved ones. So I am going to start a DVD drive. New ones, used ones, whatever you have. I know I have dozens of DVD’s on my shelf that I will never use again, won at the pub and will never watch or was given and will never watch again…. Battlefield Earth…. ugh….. ;-) I am going to start with Lions Gate Hospital in North Vancouver, fill it up and move to another. I am going to contact several of the electronic companies and see if anyone is in the mood to donate 15 (there are 15 rooms in the palliative care ward) portable DVD players in exchange for some press from me. 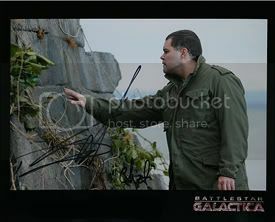 As for you, the incredible fans, if you send me a DVD donation with a self addressed stamped return envelope (large enough for an 8X10) I will send you a signed Battlestar Galactica Chief picture or a new shot of me on The Bridge (man in uniform…ha). So grab something off your shelf, out of the dollar bin at Walmart, steal if from your little brother… ok don’t do that… steal one from Lowenthal, he can afford it and send it to me. I will collect them all, give them to my friend and she will build a library for the hospital. Thanks everyone, I know you get bombarded with donation requests but at least with this one you’ll get something back. Just tell me which pic you would prefer. EDIT: If you are outside USA/Canada, yes you can donate DVDs. I believe the portable dvd players will be multi-region players. And if anyone has a contact with one of the manufacturers of these types of products let me know. I am thinking SONY or Panasonic or some company like that. EDIT #3: Reading this again I feel that it appears as though this was wholly my idea. I want to clarify something which I did not include in the first posting. I left out the name of my friend and her father with the notion that I was protecting her and her family from the public knowing personal stuff about them. I did not check with my friend about this and I have found out I was wrong to leave them out. She wants to do this for the hospital in the name of her father, a great man named Richard McArthur. The germ of this idea, the DVD players, the library, etc was the idea of his daughter and my friend Sian. We talked about that idea and came up with the rest of the plan. Other than that the only thing I contributed was taking it to my generous and amazing fans. So, if anyone asks what this is about please tell them that you are doing it for the legacy of Richard McArthur, a wonderful man and father. Note: The questions were posted in March 2009 but not answered by Aaron until November 2009. Below is the message Aaron posted on THE CHIEF’S DECK to announce that he is on twitter. Ok fine….. I will take all of the abuse about to come my way…. I am now on Twitter. My reversal in this decision actually comes from a conversation I had with Brad on his bus when he was playing MSG. Brad Twitters and does so to let his fans know about upcoming appearances, last minute changes to his schedule, release dates of things, etc…. He feels it is a very effective tool to keep his fans informed. I have Michelle for that and she does a tremendous job. I have decided to follow Brad into the land of Twitter not to tell everyone that I am going to the kitchen to get an apple, am walking in the rain or just fell down the stairs (although I am sure a few of you would really like the last one), I am going to use Twitter for last minute items that come up. Michelle will always get information first and I know she will post it here but there will be some things that people do not have the time or access to the internet to get. This is how I will use Twitter. ex. If I am at a con and running late to my table or a Q&A, I will post that. If I run into someone and have a conversation that you might find interesting, I will post that. Basically all the things that come up with short notice…. that and to s#%t bag Wil Wheaton….. So yes, never say never. Having said that, all those people who post EVERY BLOODY LITTLE THING are still douchey…. Let the hammering of me begin….. There is now an official CTV website for THE BRIDGE. There’s nothing on there yet except for a synopsis of the show. I managed to do a quick screen cap before the page fully loaded and got a nice grab of just the banner before the menu bar loaded over his chest. UPDATE: Thanks to schneefloeckli, here’s the whole image. Let’s not get too excited just yet until we hear something official, but …. Numb3rs will have 16 episodes this season instead of 22 to make room for a midseason show. There is talk about which shows that will be and The Bridge gets mentioned. “Numbers” has been given a new one: 16. CBS confirmed Wednesday that it had reduced the order of the Friday night drama from 22 to 16 episodes. According to Eye execs, net decided to make the adjustment in order to make room for midseason fare. CBS has few holes on its schedule — but nonetheless has several shows on the bench, including reality skein “Undercover Boss” and fresh dramas “Miami Trauma” and “The Bridge.” Returnee “Flashpoint,” which performed decently for the Eye on Friday nights, is a top contender to take over the “Numbers” slot. Net execs stressed caution in reading too much into the fate of “Numbers” — it is only November, after all, and a final decision on a “Numbers” renewal wouldn’t come down until May. But episodic reductions are never a good thing, and “Numbers,” now in its sixth season, is a contender for bubble status when the time comes. Among CBS’ new shows, the fate of “Three Rivers” is still in the air — but a back-nine pickup is unlikely at this point. The end appears to be nigh for the crime-drama Numb3rs. According to a report in Variety, CBC has reduced this season’s show order from 22 to 16 episodes in order to make room for the return of the Canadian-made Flashpoint and the new dramas The Bridge and Undercover Boss. Currently in its sixth season, Numb3rs has been gradually waning in U.S. Nielsen ratings since returning to the Friday-night lineup in September. At the same time, CBS extended the episode order for the new sitcom Accidentally on Purpose, which now joins NCIS: Los Angeles and The Good Wife as rookie CBS shows with full-season pickups. You can comment on these articles over on THE CHIEF’S DECK. 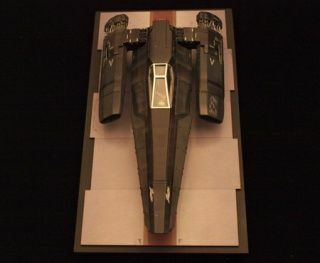 THE CHIEF’S DECK was mentioned on pages 41 and 96 of the The Official BSG Season Four Companion. – The quote on page 41 was taken from … “Ask The Chief” (January 2009). – The quote from page 96 was taken from the 4×16: Deadlock (Episode Review) but didn’t include all of what Aaron wrote. Aaron is scheduled to appear at the following convention in Germany in May 2010. 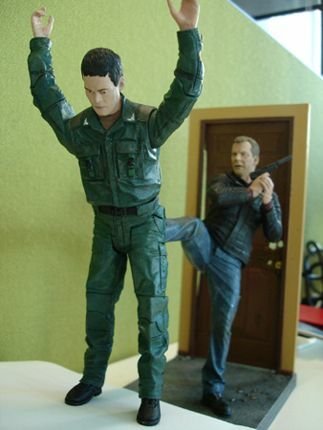 Other BSG actors appearing at this con are … Tahmoh Penikett and Kandyse McClure. Aaron was unable to make it to FedCon18 due to filming of THE BRIDGE so fingers crossed that he can make it this time. Aaron is scheduled to appear at the following convention in Canada in October 2010. LatinoReviews have posted an article about The Plan on Blu-Ray & DVD. There are spoilers (and images) in the article below. So skip the review if you want to stay spoiler free. According to The Globe and Mail (in their interview with Inga Cadranel), The Bridge will start airing on CTV and CBS in January 2010. The award-winning actress will soon hit the American airwaves, starring in the series The Bridge. Originally shot by CTV, the series was scooped up by CBS and premieres on both networks in January. Fingers crossed this true. The Globe and Mail is owned by the same company as CTV so you’d hope they know what they are talking about. There is a page for THE PLAN on the BSG DVD website. There are some new video clips and a photo gallery. Unfortunately there’s no photos of Aaron in the gallery and he isn’t in any of the videos (except for the teaser we’ve already seen). Just a reminder that Aaron will be in New York next weekend for the Big Apple convention. 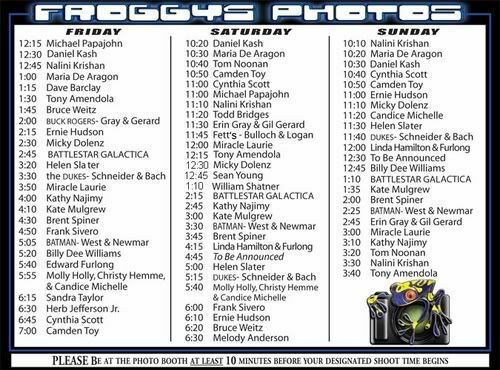 Other actors from BSG attending this convention are Michael Hogan (Tigh), Rekha Sharma (Tory), Mark Sheppard (Romo) and Luciana Carro (Kat). Here is the photo session schedule. If anyone is interested, Big Apple Comic-Con have an Official Facebook page. I will be on vacation from September 2nd to September 25th. I will update the website once I return. In the meantime, please check the THE CHIEF’S DECK for updates.